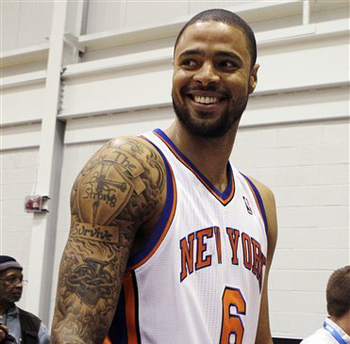 It’s amazing to think that Tyson Chandler has been in the league for more than a decade (a great Grantland piece on the professional fortunes of Tyson and fellow Baby Bull Eddy Curry ran last Friday) and yet it still feels like most casual fans (ok, fine, me) didn’t really know who he was until last year when he was part of the Mavericks championship team and then the Knicks’ latest “guy who will fix everything.” And of course he didn’t — not right away, while the team struggled to gel after the lockout and then stay healthy. But then Lin came along, and D’Antoni resigned and new coach Mike Woodson (who better get a chance to show what he can do with a full season and training camp) actually wanted his team to play defense. The team still couldn’t stay healthy — fun fact: Melo, Amare’, Tyson, and Lin all played in the same game just fifteen times this season — but they suddenly possessed a grittiness they’d lacked for years. 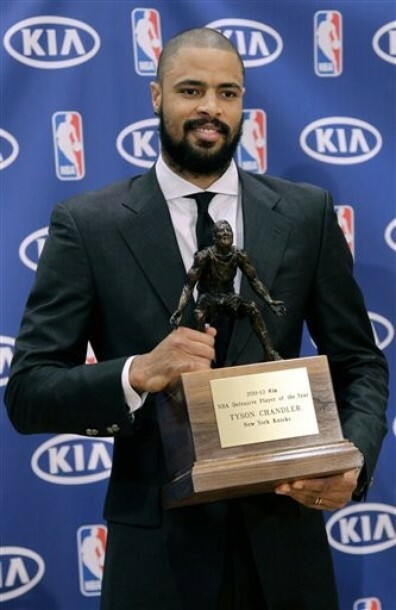 A lot of that toughness came from Chandler. 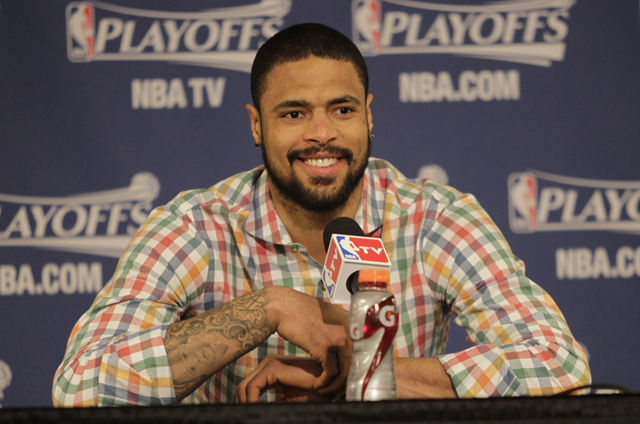 Last week, Tyson achieved his lifelong dream of winning the NBA’s Defensive Player of the Year Award. 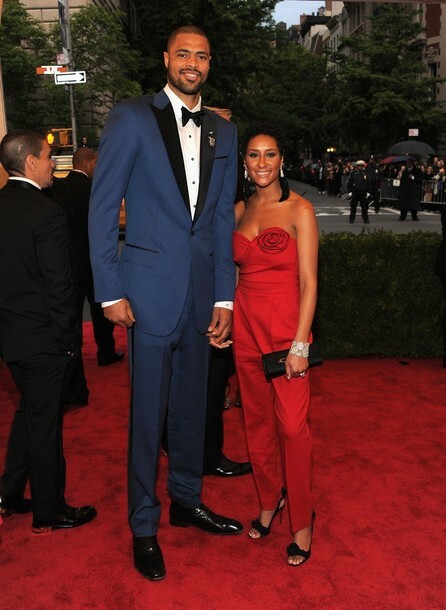 He is the first Knick ever to do so. Quoted several times this season as wanting to “change the culture” of the franchise, the award is certainly a symbolic step in the right direction. 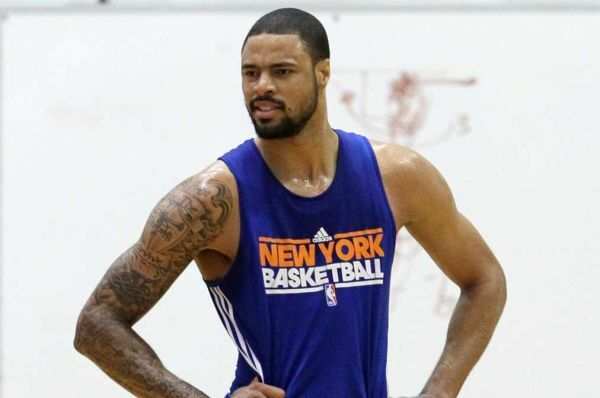 Thanks, Tyson, for helping the Knicks take another step towards respectability. Rest up, and I’ll see you and your shoulders next season. Unless, of course, you wind up in London. Then I guess we’ll get bonus shoulders. This entry was posted in Basketball, blatant homerism, defense gets me HOT, Games Mistress, HEART, Hot Guys in Suits, Hotties With Ink, NBA, New York Knicks by Tres Geek. Bookmark the permalink.